Recommend: This is a great kid series that is heavy on the science in a really fun way! So I was contacted by an agent on this one. I decided that I definitely wouldn’t mind reading some books and letting my librarian know if they were worth getting at the school and possibly sending them on to my nephews when I had finished with them and so I wrote back, volunteering to do a review on these. I am so glad that I did. These books center around twins, Nick and Tesla whose parents have to go away on some kind of research trip. The two kids are sent to stay with their rather eccentric uncle who is a bit absent-minded professor combined with a bit of mad scientist. While the kids enjoy the freedom they have at their uncle’s house to experiment, they miss their parents and end up getting themselves in over their heads in both books. A bit detective novel, a bit science manual and a whole lot of fun, these books include instructions to conduct some of the experiments in the books and to build some of the contraptions that are included. The book is very clear that kids should get adult supervision and some thing might require a parent read first so that the supplies are on hand when the kids get to that section of the book. However, the idea that kids can take what they are reading about and immediately create it is one of the coolest ideas I’ve seen since Choose Your Own Adventure books. Not only am I going to be recommending this to my school librarian, I am also going to send it to my brother. I can see my home-schooled nephews getting a great kick out of these books because they love to build whatever they can get their hands on. Definitely worth picking up! Recommend: If you are a fan of the Anne series by L.M. Montgomery this was a fun read. When I saw this book on the library shelves I may have squeaked slightly with excitement because I am a huge fan of the original series by L.M. Montgomery and always wished that someone else would write more about Anne. I loved Anne so much growing up that I am currently on my third set of paperbacks for the series and am working on getting them all in hardback copies because I read them so often. This book starts with her birth and follows her all the way to her arrival with the Cuthberts. The author thoroughly understood the source material and made sure to include the key families and locations mentioned through the series. I think that overall the author did a great job of fleshing out the things we simply didn’t know about or only had been hinted at by the author originally. That being said, there were a few inconsistencies in this book. 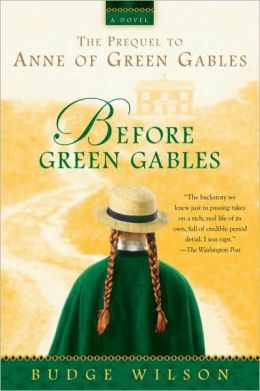 The most notable inconsistency was Anne’s attitude towards school in Green Gables was very different from her attitude towards school in this book in some ways. Also, her voice just doesn’t feel quite right through the book. The author makes a great attempt at making her sound like Anne, especially at the end of the book, however it isn’t quite right. Also, there were some small things that were missed, like Anne’s attitude towards Mrs. Hammond, which was much more positive in this book than it was in the original series. This was is definitely a fun read for Anne fans if you can stomach a few small flaws. Recommend: Definitely! A powerful novel.. I read the first book in this series when I was a kid but didn’t know that the author had published more books in the series. Another dystopian novel from the same world as The Giver but instead of a society that has advanced, this area has regressed into a more simplistic lifestyle. Kira is a young girl who loses her mother and her future is uncertain due to her twisted leg. However, she is rescued from death because of her gifts with thread and dyes. She is taken in to live in the Council Edifice to continue her mother’s work. However, she doesn’t know that she is not as free as she seems to be. This was a very powerful book about making a choice to stay or go. When society has gone wrong do you try to change something from the inside or do you leave and find something better? I loved the simple, yet powerful writing. I also love that the author knows that sometimes less is more. YA books have become these long dragged out stories where everything is explained and nothing is left to the imagination. I also love that this book is NOT centered on a romance. It is a nice change. Who knew that YA could be written without romance and still be amazing? It has been a long time since I read something YA without that element. When I was kid, I read this right when it first came out. It was my first true exposure to the idea of dystopia (although the word had yet to be coined). The concept of the book horrified me. The idea o f a society where there was no color, everyone dressed the same and children were bred, not born out of love.The whole thing made me realize that the future maybe wasn’t as bright as I thought it might be. It was the first time I had considered a future where everything had grown worse instead of getting better and more advanced. To this day, this book still is incredibly striking even though I’ve read countless dystopian novels since, nothing holds a candle to this one in my mind. After reading this again as an adult, I found something even more disturbing. When I was a kid I didn’t really understand the significance of the pills that the adults had to take. I didn’t grasp the concept of love not really being a part of their world.The first time I read this book, The Giver himself felt like the horrible person. This time, The Giver was someone to be pitied and honestly I couldn’t stand the father and a society that could treat death so flippantly. Some of the biggest differences between this book and the dystopian novels being written today is the lack of detail. the author doesn’t feel the need to explain everything completely. She doesn’t feel the need to make it probable, just horrifying that somehow it simply is. I can’t imagine an author today trying to come up with even a simply way to explain the lack of memory and color that this society is living without and even though you question it as reader, it doesn’t trivialize the fact that it is. I think sometimes dystopian novelists spend too much time trying to explain their world and not enough time telling the story. I love this book just as much as the last time I read it and feel like I have a better understanding of it now. Short Kid’s Book Review: What Body Part is That? Book: What Body Part is that? I got this as as ARC. As a teacher I thought this would be a great addition to my classroom library. A funny book about the body. Awesome. I needed more non-fiction text in my collection anyway. After reading this book, it won’t be joining my classroom library. This book has little to no factual information. In fact, it is filled with disinformation. I really just don’t get the point of it! This one is not going to end up in my classroom library. 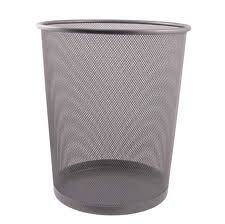 Instead it is going directly into the “I-don’t-care-how-I-get-rid-of-it-I-just-want-it-gone” pile. Avoid this one if you can. I picked this one up as an advanced reader copy and was instantly hooked. This seemingly normal kid turns out to have this amazing ability to change his decisions and go back and do them again, altering his future in the process. Turns out that he is not the only one and that what he is doing is rather illegal without training thanks to Aubrey, the agent that detects his first shift. Quickly he’s pulled into a crazy life of multiple realities that only he can remember since even among the gifted he is special. I liked this book quite a bit. The main character is interesting, his family makes you feel a connection with him and his typical average nerd qualities make him a lot of fun to explore this new world with. Aubrey is the jaded girl that he doesn’t seem to have a chance with and yet he is head over heels for and together they uncover a conspiracy threatening their way of life. Great story. Easy to read without being too simple. My only slight complaint is that the formula stands out quite a bit. The story is almost a bit too clique underneath the unique shifting ability. I was hoping for a bit more originality in a few places that it was lacking but overall it was a solid story and quite a fun quick read. 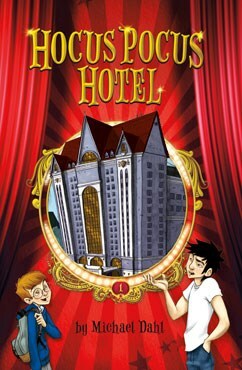 Recommend: This is a cute series for readers ages 9-11 set in a hotel built by a magician. The school’s bully asks one of the nerdy kids who has a photographic memory to meet him at the Hocus Pocus Hotel. Charlie thinks Ty asked him to meet there so he could beet him up but he had a very different plan. Charlies was the only one who could solve the mysterious disappearance of one of the hotel’s guests that had gone missing. This is not the type of magic that can cause controversy, I’m happy to say. This book is all about illusionists and even reveals some of the tricks in the books with diagrams. Even I found myself studying the diagrams closely to figure out how they did what was described. This was a great book for young readers aimed at boys. It is nice to see more books being written for boys in this age group. I think male readers tend to get ignored somewhat, especially child/teen readers. YA fiction is the worst example of this. There are so many more YA books aimed at girls than their are for boys. No wonder boys don’t want to read. The first book of the series, I definitely see the potential for this series to pick up quickly and develop into a long series. Worth giving to your kids. I occasionally will pick up a book or two for middle grade readers. 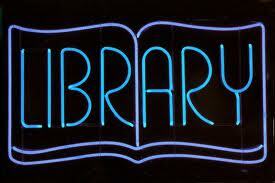 I teach kids this age and like to see what kinds of things they are reading. I had no idea what this book was about but something drew me in and I just had to check it out. I am so glad that I did. I have always had an obsession with fairy tales. I have volumes of them in my library that I have read cover to cover. As I got into this story and realized quickly that it was a warped retelling of Hansel and Gretel, I was completely hooked. 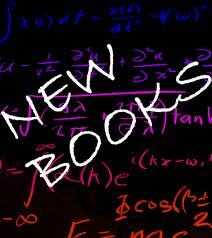 I love reading fairy tales will a new twist and this book has new twists in droves. The story centers around a girl named Lorelei who blames herself for her mother’s death. She doesn’t see eye to eye with her new stepmother and feels lost in her new life. When they return from their trip after the wedding a shiny new too good to be true school has popped up in their neighborhood just as the other school mysteriously burns to the ground. At this school students eat all that they want, study if they want to and only get in trouble when they stop eating. Soon things at their new school begin to reveal that everything is not as perfect as they seem. Why does everyone seem to have the same teacher? Why is the music teacher so mean to children with talent? Why is the kitchen wait staff as thin as rails and why is the only truly fat kid, afraid to eat the food? I think any third through sixth grade student would find this book a funny and silly adventure into the fairy tale world. I almost wish that it was written for someone older because I want to read it again. It doesn’t happen often but occasionally I’ll find a book I just can’t stand reading. Whether it is the plot, the writing style or it just not being what I expected, sometimes a book is so bad that it is just not worth the time to finish reading. The plot was so implausible that I couldn’t keep going. Killer butterflies?? Are you kidding me? This read like a bad mix of Harry Potter and The Lightening Thief with so many grammar and spelling errors that I couldn’t continue. In addition, this book was written as something YA when it is clearing a middle grades book. Don’t bother wasting your time. 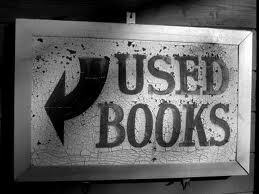 What was the last book you abandoned? Recommend: To anyone who has read the Harry Potter books. I have been wanting to read this for quite some time but when I found a British copy on the shelves of my used bookstore for 3 bucks, I finally picked it up. While it was a very short and simple read, I felt like I was reading the works of the Grimm brothers with a magical twist. Even more so than the tales, I found the ‘commentary’ by Dumbledore even more entertaining. For those who have read the last book of the Harry Potter series, Harry Potter and the Deathly Hallows, the commentary on the story of “The Tale of the Three Brothers” is particularly entertaining simply because he holds back from telling the whole truth, even though the readers already know it. It creates this sense of reality that the simple truth never would have. The only negative I found with buying this book second-hand was that the money from the resale doesn’t go to the foundation that got a part of the proceeds from the original sale. I might have to go make a donation since I’m getting all the enjoyment without the foundation getting any benefit. I definitely recommend this one to any Harry Potter fan. It was a great diversion. It makes me want to go back and read the series again. Recommend: Definitely worth the read! I was looking through my bookshelves today and realized that in all the time I’ve had my blog, I have yet to talk about this series of books! I have read these books now a couple of times and each time I read them I am reminded how funny they are in a dark and slightly twisted way. Yes, the story is about three orphans trying to make their way in the world without their family with villains seemingly around every corner but somehow they manage to maintain a tongue-in-cheek amusement factor that get me laughing every time. 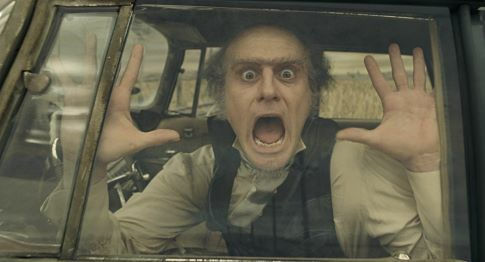 Whether it is the quirky grammar obsessed Aunt Josephine, the horrible Count Olaf, or the fashion frenzied distant relatives, the adults in these books are completely over the top. This is a great series for kids. I love how the author likes to use very big words and give definitions that always start with, “Which in this case means…” and gives an off the wall definition that is somehow still accurate (or mostly so). As an adult reader, this can get a bit repetitive but for kids, it’s a great way to increase vocabulary. As a teacher, I think this set of books would be great for kids who are gifted. These characters would be something they could relate to. I always try to find something less than positive to say about the books I review. For this set of books, I would say that the last book doesn’t really create a sense of an ending, despite its title. The reader is left hanging, wondering what is next for these kids. There is no resolution. No profound solution to their problems. It just leaves them to carry on, trying to make it in a world out to get them. I was hoping for much more from this author regarding the conclusion to his 13 book series. Definitely worth the time and worth giving to the middle grade readers around you. I have been sick for the past few days. My husband who is a computer technician in a couple of schools lovingly and thoughtfully brought home the flu to share. I had started reading this one just as I got sick and then was just too miserable to continue. I basically spent the past few days vegged out on the couch completely out of it. I finally got back to this book this evening and raced through it. If you’ve ever read The Pilgrim’s Progress, or Hind’s Feet for High Places, the plot of this book will not catch you by surprise since it is referred to as a modern retelling of Bunyan’s classic allegory about Christian. At first I really wasn’t sure how I would feel about this book. After all, it started out by saying that our hero was on his way to become a wizard, something I found rather strange for story it was supposed to tell. I continued to read and was pleasantly surprised to find that it wasn’t some odd attempt to bring the occult into a Christian allegory but just a lie about what Celestia really was. I found the fear and hatred of those who decided to go to Celestia even more severe than they were in the original, which I found realistic considering the current state of opinion when it comes to Christianity from the public right now. If you don’t know what I’m talking about, take five minutes and go read comments on articles on yahoo. You’ll quickly figure out that Christian bashing is all the rage right now. I also found the confusion over what the right choice is, is far more clear in this version of the tale. In the original, the right choice seems obvious to the reader but not the character. In this version it is less obvious to both which I think helped show how easy it can be to make the wrong choices. My only complaint with this book was the ending. I felt like it was far too abrupt than it should have been. It was like the author just got tired of taking them through trials and decided to end it instead of writing anymore. The ending felt very slapped on, instead of that we had finally reached that point where there was no other choice but to end the story. Definitely a book worth picking up but not sure it’s going to be as timeless as the original it’s based from. I thought this might be an interesting selection. I have been hearing quite a bit about animated versions of the Bible lately and decided that I should take a look at one. I found the concept very interesting. There is so much action through many of the books of the Bible that would translate well to a comic book version of the Bible. I spent my whole time looking through hoping that somewhere it just might get better. I was very wrong. While the concept is a great one, I saw a lot of problems with this book. First off, I wouldn’t exactly call it a Bible. It skips over quite a bit and mashes quite a bit together. More than I think was necessary. The pictures were very colorful but felt extremely dated. I felt like I was looking at a Bible version of an old superman comic. When I found out the illustrator had worked for DC comics, I was not surprised in the least. The book focused on the lives of Jesus, Paul and Peter to the exclusion of almost everyone else except where they related to those figures. I was hoping that Revelation would at least redeem the book but there are only a few pages and they are not very specific. In the one book where the illustrator could let his imagination run, he chose to hold back and make it look rather cheesy. I might pass this one on to my nephews but somehow I doubt they will enjoy it very much. Recommend: If you find old circus side-shows entertaining in any way.. I have been wanting to read this book for quite a while now. 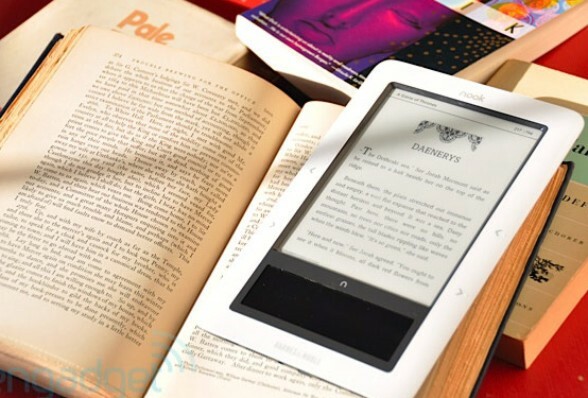 I almost bought it for my nook a while back but was worried that the pictures wouldn’t all be there or would have trouble rendering correctly. In my experience pictures on an e-ink screen are risky business so I decided to wait and finally got to this one recently. The story is centers around a boy named Jacob and his grandfather who had a very mysterious past. Jacob sees his grandfather get murdered by something that could only be described as a monster which leads him on an adventure into the strange and unusual. Using old photos of unusual children, the story is a unique jaunt into the strange and peculiar. I definitely enjoyed reading this one. Jacob was a lot of fun to read. He was curious and skeptical enough that when he finally bought it, the reader was willing to follow him into the whole idea that these peculiar children weren’t fakes at all. The idea that his grandfather had grown up in such a place and that he was peculiar as well was very interesting. I was rather disappointed when you finally find out what his particular talent is. I saw the ending coming a mile away and I think that the author delayed it a bit too long. There was definitely room for another book to follow and as long as it was a good as the first one, I might be tempted to venture back into the intriguing world he created. I do have to say that in a few places the book just seemed to drag. I think he spent too much time explaining things that reader had already figured out at least vaguely, making them acutely uninteresting to read. I thought that there were too many children and their talents to keep track of. He needed to spend more time making each child stand out more to the reader. Many were very flat and it took some time trying to remember what their talents were and how they used them. It made the climax of the book difficult to read because I was constantly stopping to figure out exactly what each on contributed. Definitely worth reading, I’m not sure it’s one that I need to reread, unless this ends up the start of a series. I might need to read it again just so I remember exactly what happened before moving on. Book Review: The Mark in a way I had never envisioned it before.. Recommendation: Definitely! What a gripping read. I’m still thinking this one over! I got this book from book sneeze as an advanced reader copy and I am so glad this was the next one that I picked out! I was very intrigued. By the cover and the title, I already knew what subject this book was going into and was interesting to see this done as teen fiction. Swipe is a post-apocalyptic dystopian society where everyone comes of age at thirteen. At this point, you must Pledge your allegiance to your country and receive the Mark, a fancy piece of nanotechnology that allows you to do everything from shopping to holding a job. The only problem is that without it, you have nothing. There is virtually no choice. However, the Pledge and being Marked doesn’t always go as planned. What happens to the ones who fail? This piece is obviously one authors attempt at looking how we might make it to all the prophecy from the book of Revelation. Right now the idea of going from a nation where we are mostly free (although those freedoms seem to be shrinking on a daily basis) to a society where there is only one religion, everyone is Marked and the world is headed to a one world government could happen. It is actually frighteningly simple and not as implausible as we might think. I loved the great story telling. The author doesn’t wast time or over simplify the events of the book too much while still aiming at his target audience. I found the main character Logan, very interesting and having some depth that I would not have expected. It had a strength of character reminiscent of the hunger games while maintaining a close tie to how a scared and confused teenager would actually react to the situations Logan is faced with. I found the secondary characters interesting to read and the conflict varied and less predictable that most pieces of teen fiction that I have read lately. If I had to come up with some negative, it would be that I wanted the story to go deeper into the issues that were touched on in the book. I think that the author missed some fantastic chances to share his beliefs with the target audience and yet he seemed to shy away from it for some reason that I couldn’t figure out. I hope that in the next book, he really dives into the reasons behind everything going on and why it is such a horrible idea. I am very interested to see how far the author plans to go with this whole story idea as well. This could be a huge extended series or just a few books depending on the scope the author chooses. I think that the only reason I find the lack of depth somewhat permissible in this book is because I’m hoping he goes more into depth on the next one. This one is definitely worth picking up. I don’t think I’ll be giving this one away and will be waiting with bated breath for the next one. I finally picked up a copy of Coraline by Neil Gaiman. I wasn’t aware when I saw the movie that it had started out as a book but when I heard who the author was, I knew I had to check it out. My online library had it available and so I checked it out. The story is generally close to what is portrayed in the movie but honestly there is a huge dimension missing. Wyborn is not in the book! The whole story with his grandmother is not there at all! I thought that bit of plot added some interest to the character and made Coraline more accessible. I definitely felt his absence. I kept waiting for him to show up but he never did. The book was a fun read and was decently log enough to tell the story well but not so long that a child would lose interest. It was worth the time it took to read but for once I think that the added characters from the movie and amazing animation did a better job of telling the story than the original text. If you are a fan of the movie, it might be interesting to check out or a fun read before you see it, but for the first time I can think of, I don’t prefer the book over the movie. Recommend: Yes, but the ending just might make you mad! Okay, I’ve read the other three books in the cycle and was excited to read the conclusion to the series. I loved the other books and this one was no exception. Eragon and Saphira finally grow into their powers and abilities just in time for a final showdown with Murtogh and Galbatorix. It was definitely a fight worth waiting for and I was surprised by the way it ended. The last dragon egg hatches for it’s rider and we find out things were not quite as they seemed through the first three books. The only thing that made me mad was the ending. If you have read the other books, you know what the end hold for Eragon thanks to Angela but Arya’s fate was what frustrated me to no end. I would have to say that a girl NEVER would have written what Chris did. I don’t want to ruin too much of the book by going further but I was disappointed with the very end. I get it but it doesn’t meant that I have to like it. Overall, it was a great conclusion to a wonderful series and I hope that he decides to return to this world again in the future! I wouldn’t call this a traditional book review but more a glimpse into how one author’s writing shaped my childhood. I received my first set of the Anne of Green Gables series from my grandmother for Christmas when I was eight. I read the first one with some reluctance. I had been reading a lot of fantasy and much of it was rather dark for an eight year old. Since I was reading years above what was normal for my age though, the choices were sometimes limited in my school library and my teachers would allow me to select books that were sometimes not appropriate in my parent’s eyes. So after some prodding from my mother, I picked one up. I got about five pages in and I was completely engrossed. I rapidly sped through the books in the series and then read them over and over again. 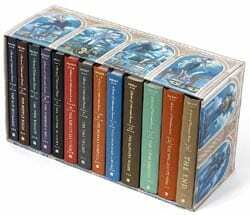 Eventually I moved on and devoured the rest of her books as I grew up, eventually needing a second set of the books simply because the original set had worn out completely with age. Before my grandmother died, she was working on completing my set in hardbacks simply because I kept killing my paperback versions over and over again. For me, Montgomery was my first introduction to novels driven by the characters and not the plot. Her books opened up a whole new world of literature for me. From Anne I quickly moved on to more classic literature, falling in love with the greats. While I would never compare Montgomery to Tolstoy, Dumas, or Hugo, she had to same kind of impact on my life that those writers did. Anne allowed me to see that being a strange kid (and I was a very strange kid) was okay and that somehow in the end I would come out okay. Even though Anne was far from normal, eventually she grew up and became the amazing wife and mother portrayed in her later books. Montgomery showed me the magic of childhood and the power of being a kid through Jane of Lantern Hill. She explained how it was okay to do things your own way through The Blue Castle. She showed me that having physical limitations were not the end of the world or the end of the chance for love when I was older through Kilmeny of the Orchard. I don’t know where I would be or who I would be if my grandmother hadn’t sent that first set of books to me when I was eight. Thanks grandma. I miss you. So I was browsing through my friend’s nook books and saw that one of them had the first book in this series. I have been curious about it for a while but had just never gotten there. Some of my students have ranted about how amazing they are so I figured I would read it. This seemed like a great plot line. Evil 12 year old mastermind tried to outsmart fairies for profit. Sounded like the makings of a great series. 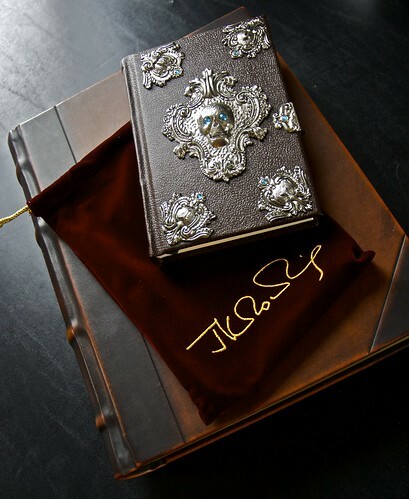 While the idea is amazing, it’s about the only thrilling part of the book. 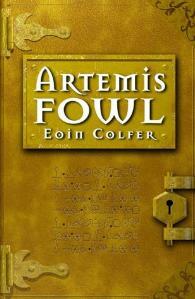 The main character Artemis, is flat and just dull to read. Like Lex Luthor without the bite. The Butler was more entertaining and had more emotional depth than Artemis. The fairies were interesting but I have never longed for traditional fairies more in my life! The technology was just an unnecessary distraction. You spend more time with the fairies than you do with the main character it seems and I wanted to kn ow what made this kid tick, but there seemed to be no substance there. I feel like this book had so much potential and it didn’t meet any of it. A large part of me wants to rewrite the thing just to make it more interesting. The biggest negative I found was the inappropriateness of this book for the target audience. As an adult an occasional swear word isn’t the end of the world, but in a book aimed at children, I found it offensive. The violence and descriptions weren’t necessary and I found Artemis to be a bad example for kids. I wouldn’t put this in the hands of any child I know. If you’re looking for what not to do when writing a fantasy novel, this is a great book to read, otherwise don’t waste your money. I’m glad I borrowed this and didn’t pay for it myself. Recommend? Definitely, much better than the first two! I got a new nook for Christmas 🙂 With my new nook simple touch in hand, I’ve been reading up a storm! So I went to the bookstore and spent a few hours devouring the latest James Patterson book in his Witch and Wizard series. 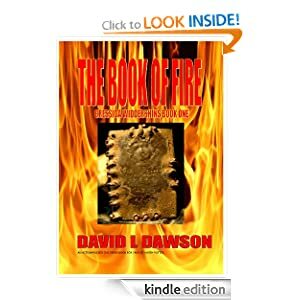 I had read the first two books in the series and found them to be a fun, fast and light read. When I got to the third book of the series, I was pleasantly surprised to see a change from the first two. This book seemed to be more logical and polished than the first two. This book also seemed to be better geared to the target audience than the first two had been. This book follows Wisty and Whit Allgood, a young witch and wizard who are fighting The One Who is The One and the New Order. At the beginning of the book Whit is trying to save Wisty who is on the brink of death. From the first page on, the story grabs you and doesn’t really let go. All of the book s have been exciting but this book really developed the story and filled in quite a few holes that made the story seem more cohesive. Of all the books, this one gave the best visual of the different worlds, made the characters seem more believable and was much more consist ant than the previous two. However, I would say that this series in general can be a bit hard to follow, simply because Mr. Patterson takes things quite a ways away from what is normal for most books about witches and wizards. However, these differences create a truly fictional world. I think the biggest negative for me in the series is the fact that the characters are not well fleshed out. The action seems more important than who Whit and Wisty are as characters. Mr. Patterson doesn’t take enough time to flesh these kids out, let alone the supporting characters and so you are pulled by plot alone. While this can work, especially in something this intense, I think that better characterization would have enhanced the drama, instead of creating two characters that at the end, you are not sure you really know, especially when Wisty makes a choice about a certain boy that makes absolutely no sense to me. I think character development would have helped this series be much more effective and created a more lasting impression. If you decide to pick this one up, be sure to check out the extra stuff at the end. There are so many Easter eggs in this book that are thinly disguised and the appendixes are no exception. While this was a fun read, it’s not one that will be joining my book collection anytime soon.